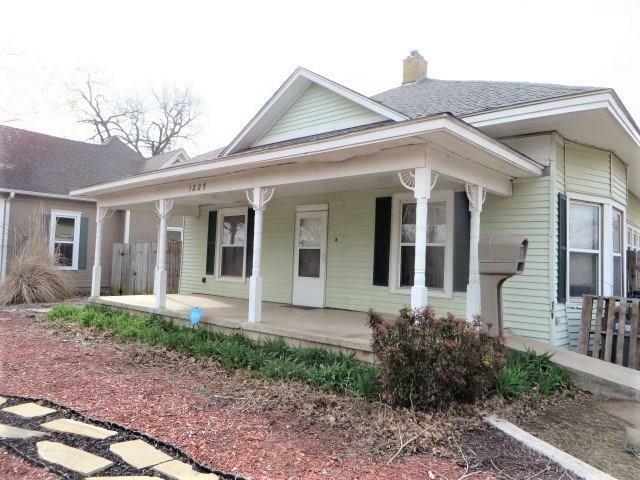 This beautiful 3 bedroom, 2 bath home is located on a large corner lot! Enjoy gatherings in the generously-sized living and dining areas that feature decorative criss-cross beamed ceilings, a corner fireplace and a built in china hutch. The recently renovated galley kitchen boasts an abundance of cabinets and counter space! The master bedroom offers a full bath and walk in closet. This property includes a 735 square foot 2nd home that would make a great income property! The guest/2nd house includes a full kitchen, dining area, living area, 1 bedroom and 1 full bath.....this home has a separate entrance from 13th Street and also includes covered parking. The privacy fenced backyard includes an open patio, additional parking, 10 x 20 storage building and an above ground storm shelter. Call today to schedule your appointment!